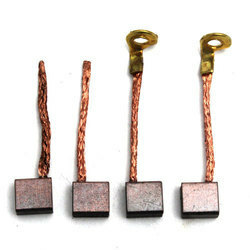 We are a well-known firm engaged in the supply of starter carbon brushes that are available at the most competitive prices. these can also be tailor-made to suit clients’ specifications. Minimum 2000 Units. We cater inquiries from Importers and Motor Manufacturers. The Prices will vary based on Order Quantity. 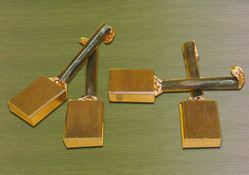 Our wide range of Brush Holders is fabricated by employing materials namely Brass, Gun Metal, Phosphor Bronze and Steel Metal. These are well acknowledged internationally for their numerous features including finishing and reliability. We offer a range of Starter Carbon Brushes designed and manufactured as per the current standards of the industry, our clients for current –speed & wear characteristics. We offer specific customization on our entire range to our Client’s entire satisfaction. Dhingra Auto India Pvt. Ltd.